If you have no private health insurance but would still like to pursue having your treatment in a private hospital or provided by a private company, there is still a way that this can be achieved. It may be that you wish to have fertility treatment and have already had your quota of treatment through the NHS, you wish to have a cosmetic procedure, there are medications available that your GP cannot supply or even that you wish to speed up your waiting time and be treated earlier. There are several possible reasons why someone may want to seek private treatment but as they have no private medical insurance they are unsure of how to go about this. Affordable health insurance may be a reasonable expense for a young couple, but for those in middle or later years individual health insurance may be costly out of an annual budget and not a feasible option for many, but this does not stop anyone enquiring about private health treatment if they would like to find out more about it. If you require a cosmetic procedure the easiest way to start the process is to contact one of the healthcare providers directly. 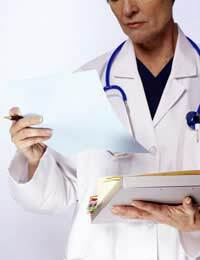 You may want to research the different the different companies or even ask your GP which particular surgeons operate in which hospitals if you have a surgeon already in mind for the procedure.Most of the private health providers or hospitals will have an enquiries line that you can ring and find out all the information you need. If your operation is not considered a cosmetic procedure, you may want to discuss your options with your GP who will inform you which surgeons are specialised in the treatment that you need and make the necessary referral as required. Following this you will receive an appointment to see this surgeon who will discuss your suitability of having your operation privately or within the NHS. Waiting lists may be discussed and whether you will need specialist intervention after the operation which often cannot be offered in the private setting. Without having health insurance you will receive a bill at some point during the process which you may have arranged prior to the treatment to pay in instalments or as one lump sum.If you have had any unforeseen costs the payment for these will need to be discussed with your provider. Great Britain offers some exceptional fertility treatments but where you live and the treatment you have already had may influence your entitlement to NHS treatment.If you fertility team and GP require you to pay for your next treatment the costs of each part of the process will be broken down so you can see exactly how much everything costs and where you finances will be spent. The actual treatment will be provided in exactly the same way by then same team as the NHS patients have been seen by and usually you will be treated in the same clinical area including a non-private ward.If you require fertility treatment, there is no reason to need private medical insurance as most of the providers exclude this kind of treatment from their policies and it is not part of the health coverage. If you require another type of treatment such as a screening procedure, blood tests or even physiotherapy or something else allied to health issues these can normally be purchased on an as and when basis and will incur one off costs. Although it might work out less expensive to have private health insurance or be easier to manage financially, it is not always necessary and many treatments can be offered without the need for insurance.